The Aqua Life Inflatable Shirt is a close fitting shirt that is designed to be used in water activities where protection or buoyancy is required . The shirt is ideal for all water sports. 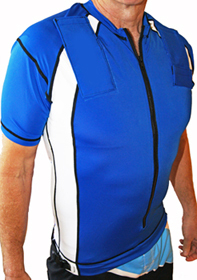 The patented zip up front makes the shirt easy to wear and take off. 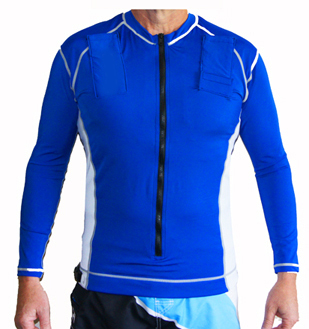 Aqua Life inflatable shirts are designed for maximum comfort and support. The shirts are double lined eliminating itching, chaffing and scratching. The embedded and adjustable waist band ensures the shirt stays snug to the body in all conditions. It won't fill up with water or ride up like a wet t-shirt, or even worse, be pulled off in rough surf conditions. 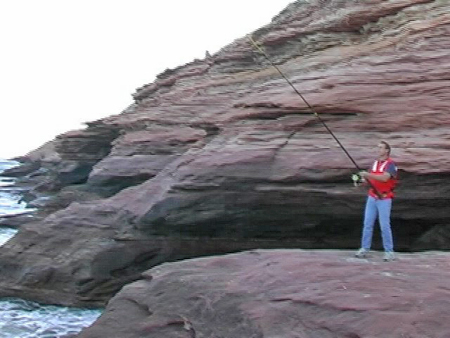 Some of the more frequent uses of the shirt include: swimming, surfing, body surfing, body boarding, water skiing, surf skiing, snorkeling, canoeing and kite surfing. If it involves water, then a "Aqua Life" shirt should be considered. The shirt is available in all sizes and suitable for all ages from 2 to 92. Aqua Life inflatable shirts are available in a variety of colors and can be made with matching company logos and other options. Optional configurations include, but not limited to: short, long or no sleeves, strobe lights, whistles for attracting attention, and many many more. The Aqua Life Inflatable Wetsuit is the first of its kind anywhere in the world. With a patent pending design, inflation chambers are located in the front and rear of the suit to help ensure the user's face remains well out of the water. The wetsuit design allows you to dive under threatening surf conditions, and when it's time to resurface, the inflation chamber ensures an assisted steady rise to the top again. 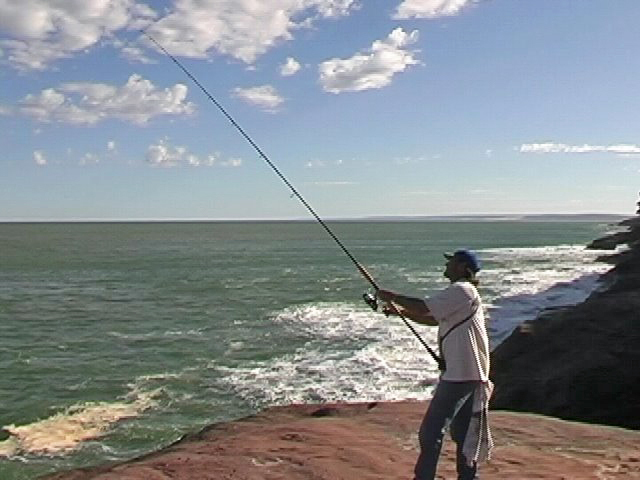 Deflation of the built in bladder and re-arming can be completed in less than 2 minutes, and there is no need to remove the wetsuit to do so. 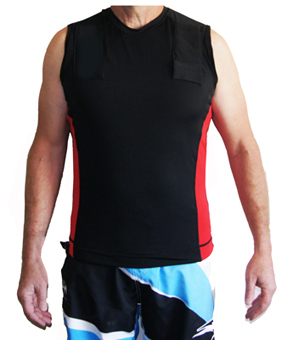 Our wetsuits are available as a short or long suit or just the vest, if required. These suits are a must have for anyone who enjoys surfing. The Aqua Life Dry Vest is designed to give the user complete freedom of movement while still offering the protection that wearing a buoyancy garment affords. Perfect for situations where you need protection but intends on staying dry. 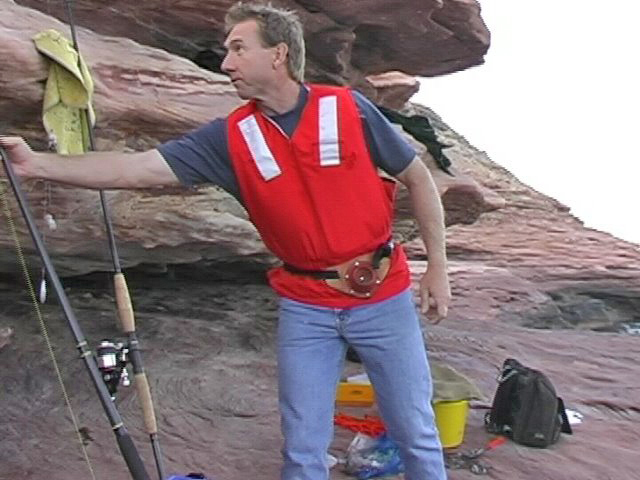 This style of vest is primarily used for situations like boating and sailing, deep sea fishing, working around water, or fishing from rock platforms. 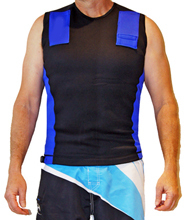 The Aqua Life Dry Vest is a one size fits all design, so almost any member of a family will be able to wear the vest.